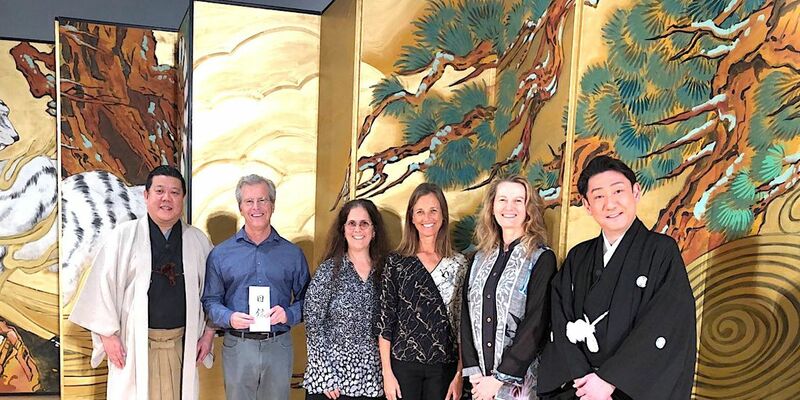 HONOLULU (HawaiiNewsNow) - The University of Hawaii received a special gift from highly acclaimed kabuki artists performing in Hawaii this week. The production of Kabuki In Hawaii returned to the islands for the first time in over 50 years. As a token of their appreciation and friendship, the cast donated an intricately crafted Asakura screen to UH Manoa. The screen served as a backdrop for the kabuki performances at Kennedy Theatre. The screen, which served as a backdrop during the performances at Kennedy Theatre, is valued at $100,000. University staff were on hand for the presentation, saying it was a wonderful surprise that will be treasured by the university for years to come. Kabuki In Hawaii has one more sold-out show at the Honolulu Festival on March 8. The shows in Hawaii took place to honor the 25th anniversary of the Honolulu Festival, along with the 150th anniversary of Gannenmono, or the first organized Japanese group to immigrate to Hawaii.